ar workshop in malvern is open and fun! Savvy Main Line had a piece this week about Malvern Borough’s new kids on King, Anders Ruff (“AR”) Workshop. I had some time this afternoon and had to make quick stops at Kimberton Whole Foods and Up Home, so I stopped in. 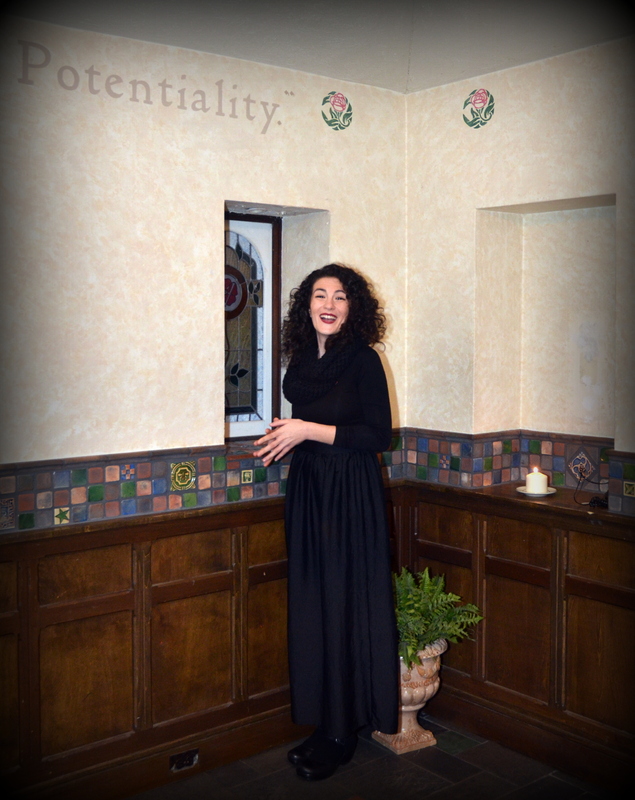 Ok so….it’s a super fun spot and I look forward to checking out an event soon! I met Gemma and she was so nice to just let me wander around and snap a few photos. I think this will be a fun spot and I envision many DIY events that will bring more folks into Malvern Borough. And because it is arts and crafts centric maybe Malvern Borough should start thinking in terms of arts events and sidewalk sale days. The festivals are great fun, but there is so much more you could do. What would be really cool would to bring arts and music together and involve the merchants, and galleries, but I digress. My friends will tell you I am not a chalk paint person but other kinds of crafts? Like what is being offered at AR Workshop in Malvern? That sounds fun! Check out AR Workshop Malvern on the web and on Facebook. They are at 233 E. King Street in Malvern Borough. Their phone number is 620-783-3113 . And as always I have not been compensated in any way for this post. I wrote this post because I went and checked out a new business and loved it! Keith Paul Hartman slipped from this world at 1:04 A.M. on Saturday, March 24, 2018. he was in the ICU at Paoli Hospital where he had been taken around March 9th, 2018. Keith was born on December 28, 1955 to the late Lester B. and Louise Capp Hartman. He was 62 years old. Keith lived in General Warren Village, and he worked for many years at Bishop Tube with David Worst. He and David grew up together in the village. Keith was a proud graduate of Great Valley High School. He was an active member of the Malvern Pocahontas Lodge #201 IOOF. Keith worked at Bishop Tube, Herzak’s Automotive and later operated Hartman Automotive. Keith found a great enjoyment fishing and spending time with his family, especially his grandchildren. I only knew Keith a little over a year, and I thought he was one of the nicest people I had ever met. He was a kind man with a larger than life voice and a laugh that was joyful from deep inside. He had a very funny sense of humor. As a relatively new person to Chester County, he and many of the General Warren Villagers I have met have been among the most warm and welcoming. I met Keith through his lifelong friend, David Worst. Keith also had the courage of his convictions, and stood up for what he believed in. I am actually pretty sad as I write this. I told some of his friends I would write a tribute to Keith, and as I am given more details, I will update this post. I felt I had to write something now. He was too nice a guy not to ask for prayers for in his memory. I honestly thought he would come home. Joyce Anne Hartman, Keith’s beloved wife predeceased him in 2011 and I also know he leaves behind his stepdaughter; Anna K. Schaeffer (Garett) and his four step-grandchildren. He is also survived by cousins including Kevin L. Hartman. He is also survived by his stepmother, Jane Hartman. Light a candle for Keith and say a prayer. Life is so precious, and we are faced with that thought every time we lose someone who touched our lives. Keith touched my life only briefly, but I am glad I knew him for any amount of time. My heartfelt condolences to his family and friends. Just wanted to post Keith Hartman’s service arrangements. Keith was a great friend (and cousin) to those of us who knew him . Here is the LINK to the obituary from Mauger Givnish. Rest in peace Keith and fly with the angels. The rains fall soft upon your fields. is chester county’s ker-feal at risk? 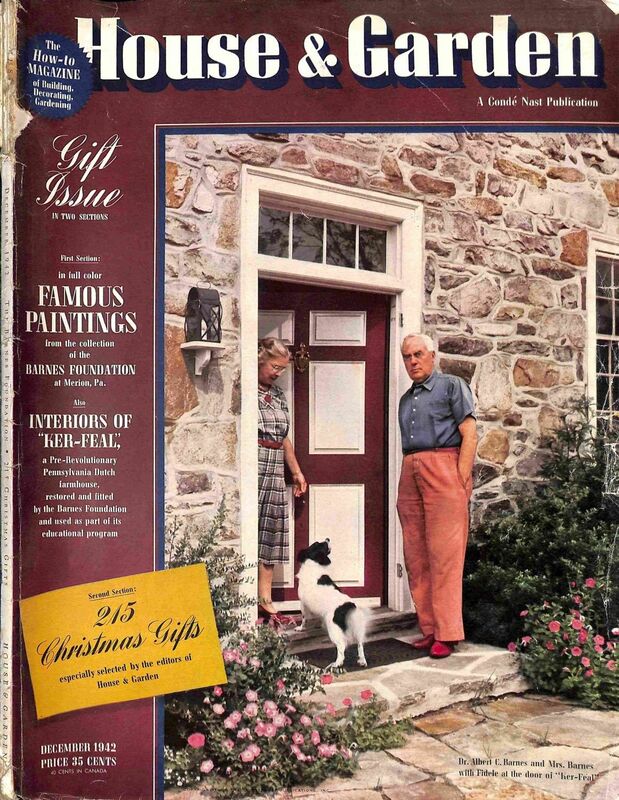 Dr. Barnes’s country home, Ker-Feal, was featured on the December 1942 cover of House & Garden Magazine; Dr. Barnes and Barnes foundation instructor Violette de Mazia also wrote articles in the issue. This image right here specifically in my post is from the eBay listing for the magazine copy which I purchased. Ker-Feal. The country home of Dr. Albert Barnes on 1081 Bodine Road off Yellow Springs Road in West Pikeland Township, Chester County. (And before people start to holler, I found the exact address on the Internet. It’s not a secret.) It also houses a Barnes art collection. His American Art collection. And after what I read today in The Philadelphia Inquirer, I have to ask, is it at risk? ….“Selling Merion is expressly disallowed” by the foundation’s charter documents, said Barnes president and chief executive Thomas Collins. But there IS art at Ker-Feal, isn’t there? It is filled with Pennsylvania German/Pennsylvania Dutch folk art and such, isn’t it? Ker-Feal houses an American Collection, yes? I guess the Barnes people today do not consider folk art/American art, art? What about the property? At one time did people not say you could have an arboretum to rival Longwood? Ker-Feal has been on the National Register of Historic Places since November 7, 2003. It (as I have said and as I have read) houses an amazing art collection on its own. It’s 137 pristine acres. You do the math with greedy developers in Chester County as to what that could become, right? This is something else the people who care about Chester County, folk art, architectural heritage, and open space need to be aware of and NOW. If I had not read that Inquirer article (and been led to said aforementioned article by Vista Today) I would not have thought of Ker-Feal again. Not unusual, most people forget it exists. Because The Barnes does nothing with it. “There isn’t a couple in the U.S., or Europe, or Asia who’s interested in arts and culture, who wouldn’t come to Philadelphia for at least a long weekend” — if only the Barnes collection came to the city, Rendell says. 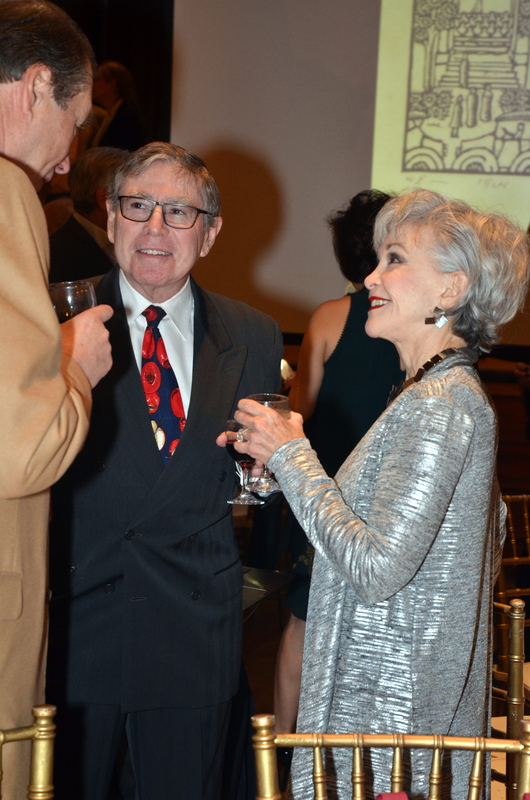 “It’s fair to say there was a vast conspiracy to move the Barnes,” says author John Anderson. Another interesting story about this property, is in 2017, someone I know ended up going down the driveway of Ker-Feal. I do not know how she ended up going down the driveway, it is easy to get lost where Ker-Feal is located. As they were trying to get out of there, they were chased by a scary man who apparently is not a caretaker yet who sees the property as his own. 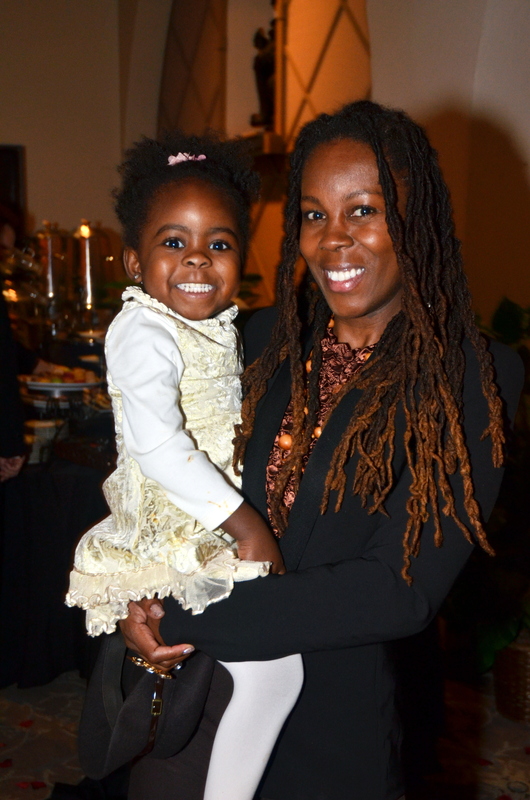 This person I knew has a small child with her. No one has any idea who the man was. The woman told me and I told her to call the Barnes Foundation so they knew, and she did. Except for those who know the property is there it is mostly forgotten. And my biggest fear is The Barnes Foundation is going to sell this parcel off and break up Dr. Barnes’ OTHER art collection. This land parcel could end up with a developer, couldn’t it? I would love to photograph this property before anything else happens, but who the heck knows how you get permission to do that or if it safe given the woman I know’s experience in 2017. To listen to Kimberly Camp tell the story, it’s all too reminiscent of the opening scene in the movie Titanic. A refined, elderly lady is holding a treasure, a model she once constructed of Ker-Feal, the rural Chester County estate of Dr. Albert C. Barnes. Found in a closet there, it sparks million-dollar memories as she offers a priceless oral history in exchange for the right to celebrate her 90th birthday inside the 18th-century farmhouse….Yet Ker-Feal may be the real—if remote—gem that gets lost in the bitter dispute. 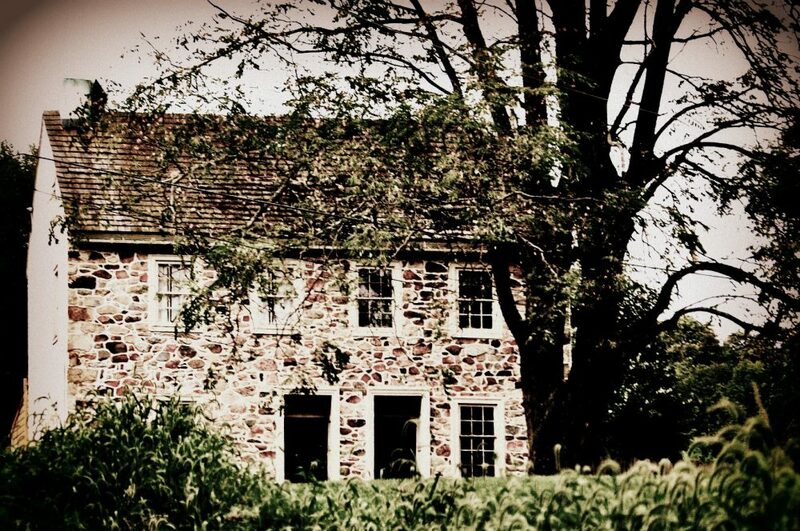 Built in 1775, it sits on 137 prime open acres along Bodine Road off Yellow Springs Road in Chester Springs. ….Barnes filled Ker-Feal with rare American decorative arts….The botanical garden was developed by his wife, Laura Barnes, who died in 1967. 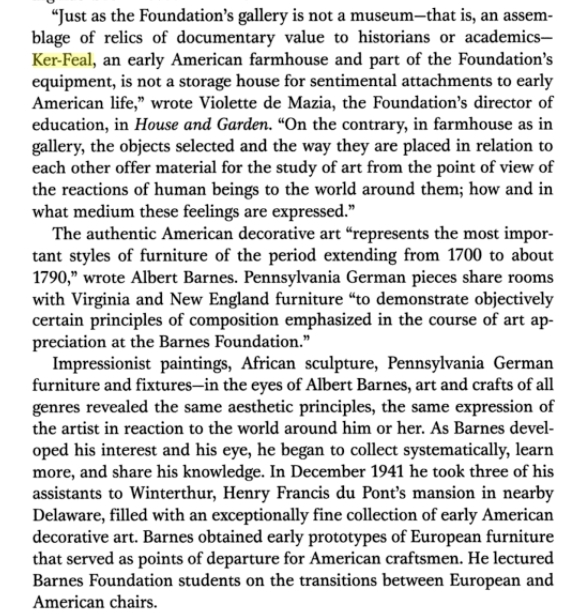 “The Impressionist collection is so seductive, it’s very easy to ignore his American collection,” says Camp…in November 1998, its board of trustees was unaware Barnes had specifically addressed Ker-Feal in his will. 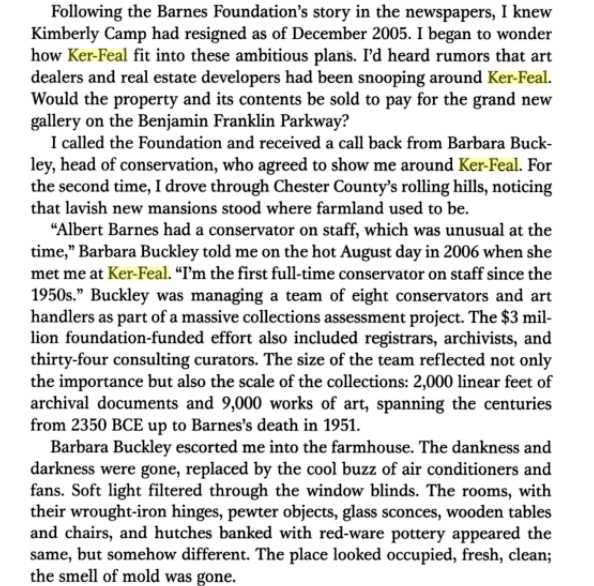 In fact, in the 1 1/2-page document that’s separate from the foundation’s charter or trust, Barnes made Ker-Feal and its contents part of his more heralded collection, and stipulated that the estate be turned into “a living museum of art and a botanical garden,” says Camp. That uncovered, Camp converted four convergent grants in 2001, including $200,000 from West Pikeland Township, to stabilize and safeguard Ker-Feal. …. By late 2003, Ker-Feal was added to the National Register of Historic Places….In 2006, another Camp-initiated grant arrived from the state totaling $40,000, for grounds and green stock assessment. …The value of the 9,000 catalogued and databased pieces—which includes those at the gallery and Ker-Feal—is incalculable. Some estimates place it between $25 and $70 billion……At Ker-Feal, based upon a comparison of inventories over time, Camp says some—a number “less than 100”—of the 2,000 decorative items have already been stolen. Worse yet, they were actually strategically replaced with reproductions…. …..“It’s such a wonderful place,” Camp says. “In a way, it has more aesthetic and cultural integrity than the gallery, but it’s such a small snapshot compared to what’s at Merion.”….But Camp says that when she arrived, she was point-blank instructed to prepare Ker-Feal, the estate and its contents, for liquidation to help fund operations at Merion. “When I went out there, I said, ‘You can’t sell this. You’ve got to be kidding me!’ Camp remembers….. In my humble opinion, this latest article in The Philadelphia Inquirer signals that Ker-Feal could really be at risk, and can’t you agree? They have never really dealt with the property, and if it had not been for that Kimberly Camp, it would not have had anything done and mold and whatnot would have taken over. I picture Ker-Feal like a beautiful time capsule. I am certain the Barnes Foundation could save it and preserve it and open it up for tours or what not if the want to. But do they want to? So Chester County, how do you feel about Ker-Feal? I think it is worth saving, don’t you? Life is never dull at the Barnes Foundation: Financial problems, battles with Lower Merion Township, board in-fighting, territorial neighbors. In short, in three years as executive director of the world-famous-yet-notoriously private Barnes, Kimberly Camp has seen it all. With a $7 billion collection featuring work of Cezanne, Picasso, Renior, Van Gogh and Matisse, there’s a lot to fight over. 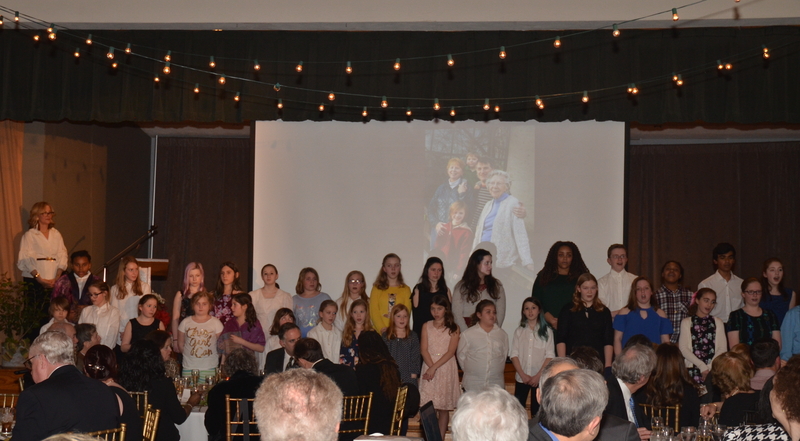 Camp, who has been tireless in invigorating the Barnes as an educational center for students and scholars, is now devoting energy to another campaign: turning the country estate of Dr. Albert Barnes in Chester County into a learning center. 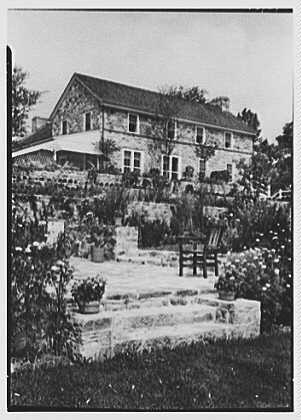 Built in 1775, Ker-Feal, which sits on 137 acres, was always a country getaway for Barnes, never a primary residence. Yet Barnes filled it with goods nonetheless — Pennsylvania Dutch blanket chests, elaborate metal work, paintings and pottery. The mildew was ruining the items, and the building needed a climate-control system, security, updated electric and costly mold remediation on the building and individual pieces — all 2,000 of them. 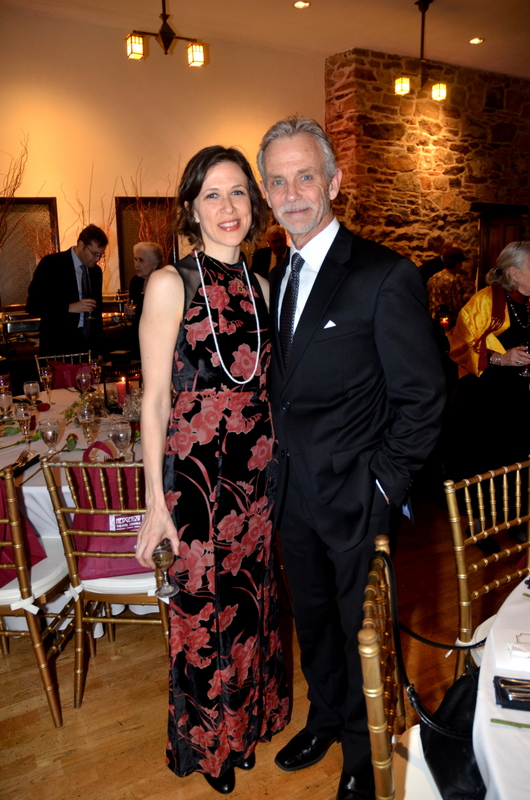 The West Pikeland Land Trust is holding the fund-raiser, said Chairwoman Eileen Juico, because the estate, which belonged to the late Albert Barnes, is one of the largest remaining pieces of open space in West Pikeland and houses a collection of 18th- and early 19th-century American decorative arts. The Barnes Foundation, which owns the estate, has had financial difficulties in recent years and has proposed moving its gallery and art education program from Lower Merion to Philadelphia. But the foundation has received criticism for the proposal because the move would violate Barnes’ will. Judge Stanley Ott has instructed Barnes officials to find out how much money could be raised through the sale of the estate instead of moving to Center City. The case will resume this summer. Kimberly Camp, executive director of the Barnes Foundation, has said it often receives offers for the property, some as high as $12 million…. Ker-Feal is Breton Gaelic for “Fidel’s house,” in honor of Dr. Barnes’ dog, Fidel. Barnes died in 1951. The artwork collected at Ker-Feal consists of antique furniture from many regions of colonial America, Pennsylvania Dutch painted blanket chests, pewter, glass, wrought iron hinges and ceramics — redware, spongeware and English “Gaudy Dutch.” Ker-Feal is listed on the National Register of Historic Places. Schuyler, curator emeritus of botany at the Academy of Natural Sciences, prefers “Ernie” to his given name, Alfred…..Which is where you’ll find him these days: down to earth, literally, walking the grounds at Ker-Feal, the 138-acre retreat in Chester Springs that belonged to the late Albert and Laura Barnes….At the behest of the Barnes Foundation, Schuyler is doing a plant inventory at this once showy estate, which has lain fallow since Albert Barnes’ death on July 24, 1951…..
Four overgrown terraces barely hint of their magazine-quality gardens back in the day. Once-smooth lawns are tufted with dandelions. And the surrounding forest is so choked with invasive plants that much of the native flora is being squeezed out. A caretaker lives atop the garage, in view of the 1775 fieldstone farmhouse, which is shuttered tight. The house still holds Albert Barnes’ collection of more than 2,000 pieces of early American decorative art and furniture, a fascination he once suggested derived from his Pennsylvania Dutch grandmother…..Imagine Albert on the porch, Fidèle at his feet, chatting with British actor Charles Laughton or philosopher John Dewey. Both were such frequent guests at Ker-Feal, they had their own bedrooms. Imagine Laura’s summer terraces ablaze with roses, the botanical garden she fashioned from a quartz quarry and her unusual hand-picked trees and shrubs. She also had an orchard, a bamboo grove, a heath garden and a blueberry patch, of which little survives. Today, in a place that once hosted classes in horticulture, botany and plant geography, Schuyler has cataloged 400 plant species and identified about 80 percent of them. I am a gardener. I love Pennsylvania Folk Art and had a Pennsylvania German grandmother. To me this sounds like heaven inside and out. Huffington Post contributing writer Lee Rosenbaum wrote about Barnes and mentioned Ker-Feal in 2012. 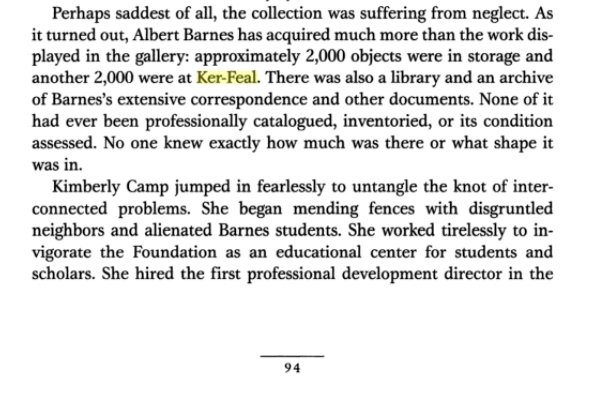 The above is but a tiny excerpt of the very in depth chapter on Ker-Feal in Lost in the Museum: Buried Treasures and the Stories They Tell By Nancy Moses. You can pick up a used copy of the book inexpensively on Amazon . I actually found a copy that was hardbound for $5.50 on al libris. (And if you are a person with a lot of books and need to sell some, you can sell them easily on al libris too.) Halfprice Books is also a good place to search for books, but I digress. There was also a mention of Ker-Feal in a Patch article in 2017 having top do with Schuylkill River Heritage Area Awards grants. And found a student thesis from 2005. And a mention in ArtNet news recently. So, that is all I have got. It’s one of the great mysteries unless you have been there. But wouldn’t it be great if it could survive and the gardens get restored and be able to see the folk art collections publicly? 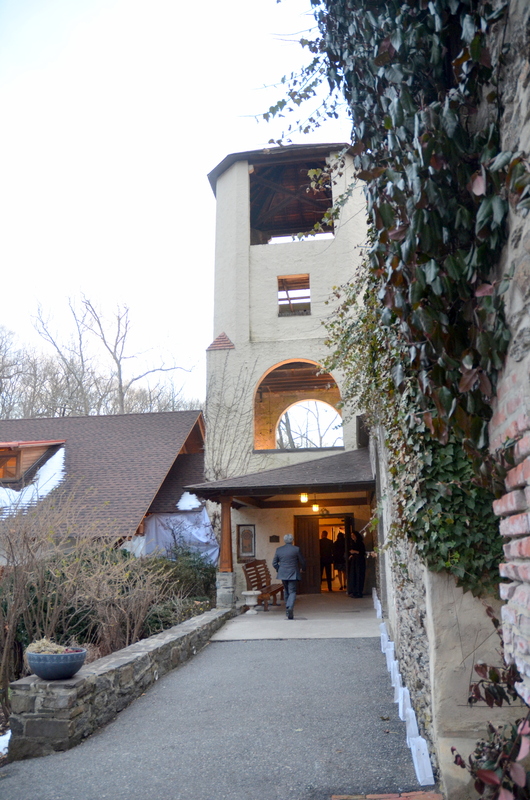 Into the Old Mill at Rose Valley we went to celebrate Hedgerow Theatre (America’s oldest repertory theatre) turning 95 and to also properly fête their beloved Director Emeritus, Penelope Reed for her many years of service. 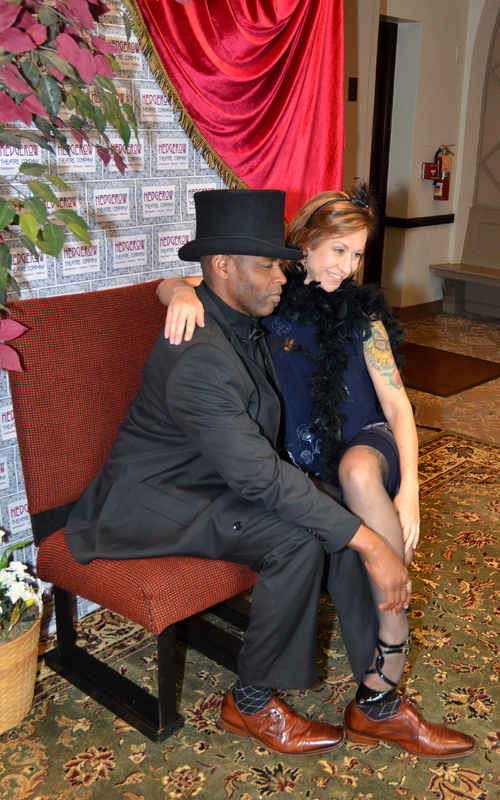 People mixed and mingled, and enjoyed a fun photo area set up with props. I loved meeting all of these new faces! Everyone was open, friendly, and welcoming. 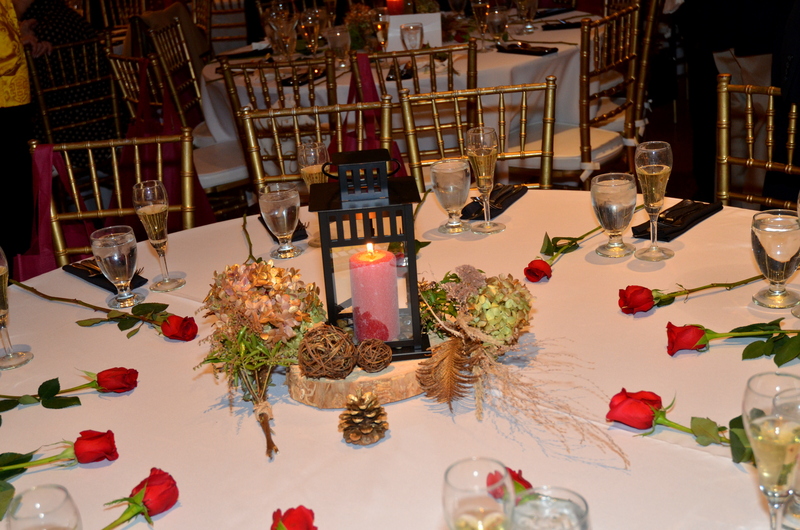 The colors of the gaily attired guests were such a welcoming sight after this past week’s 4th Nor’Easter. 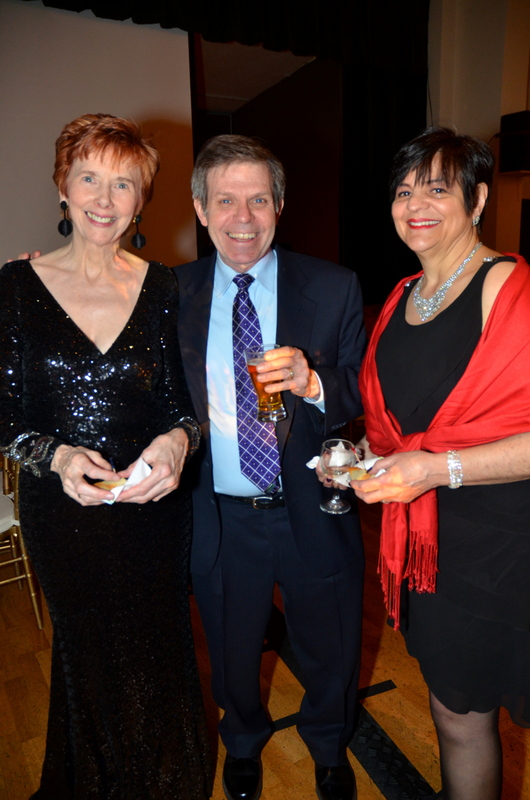 I so enjoyed meeting the “Belle of the Ball” Penelope Reed (also a 2017 recipient of the prestigious Theatre Philadelphia’s Barrymore Award) and the event co-chairs Jane McNeil and Richard Taxin! 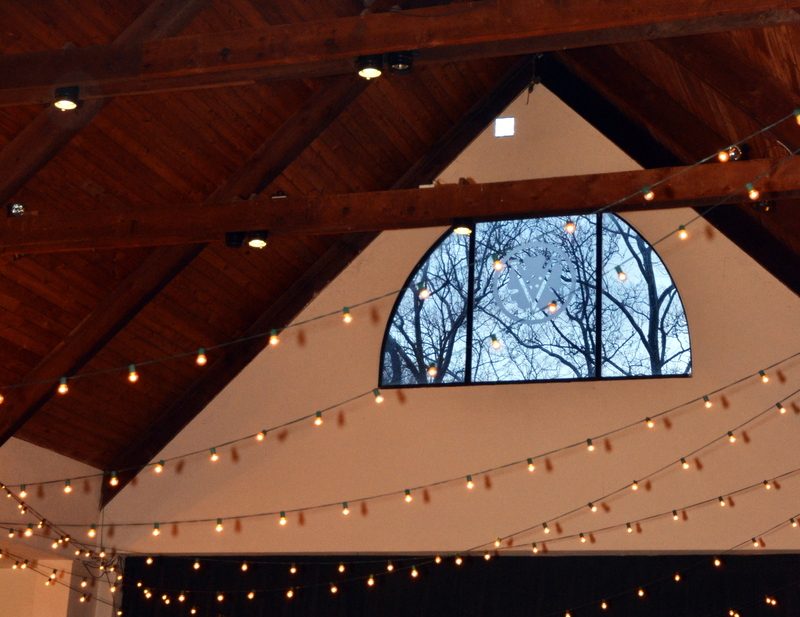 Rose Valley is such a magical place, and it is truly fitting that it is the home of The Hedgerow Theatre. Will Price began his path to being an architect by working in the offices of Addison Hutton (Quaker architect who designed Beechwood House in Bryn Mawr on Shipley’s campus and Loch Aerie in Malvern/Frazer for example.) Price also designed things like Woodmont in Gladwyne (pretty much his largest and grandest residential commission), and he and his brother Frank worked for Frank Furness before setting up their own shop. In 1888 their first joint commission was to design homes in Wayne, PA.
Price came to Rose Valley at the turn of the 20th Century. 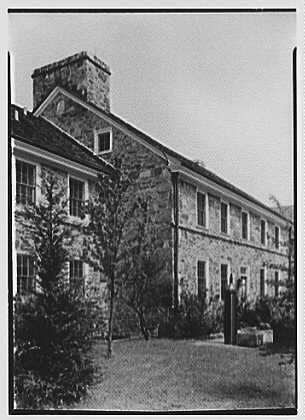 Rose Valley (although founded with William Penn land grants) and in the early 20th century evolved into a hub of the Arts and Crafts Movement in the Philadelphia area, and was also somewhat of a Utopian community. 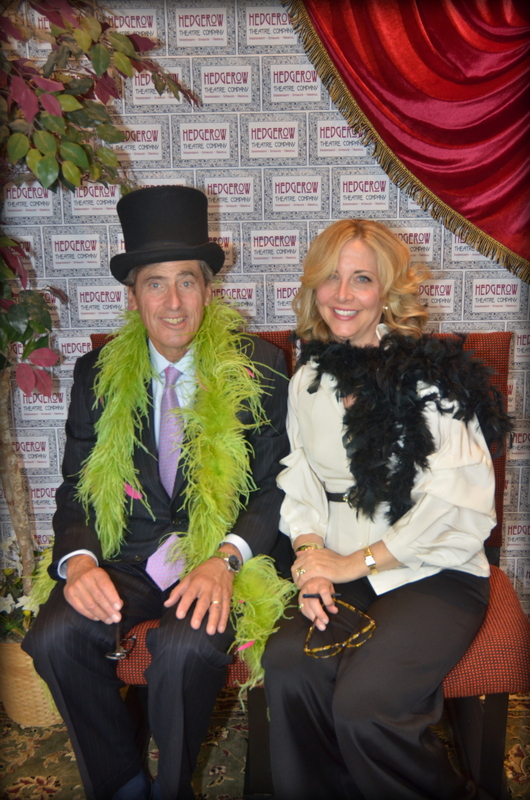 Gala Co-Chairs Richard Taxin and Jane McNeil having fun with the photo “booth” and props! ….Although the commercial side of the experiment was not a success, the social and artistic sides were. From its beginning Rose Valley was attractive to people who saw an opportunity to use their creative talents in their living environment. The Rose Valley Folk, initially organized to deal with the practical problems of self-government, became more a social organization. The Folk organized all sorts of community events – picnics, swimming and canoeing parties, baseball games. At night the Guild Hall was kept in perpetual use with concerts, plays and dances. The community threw itself into these productions, writing the plays, designing sets, making costumes, printing programs and acting. 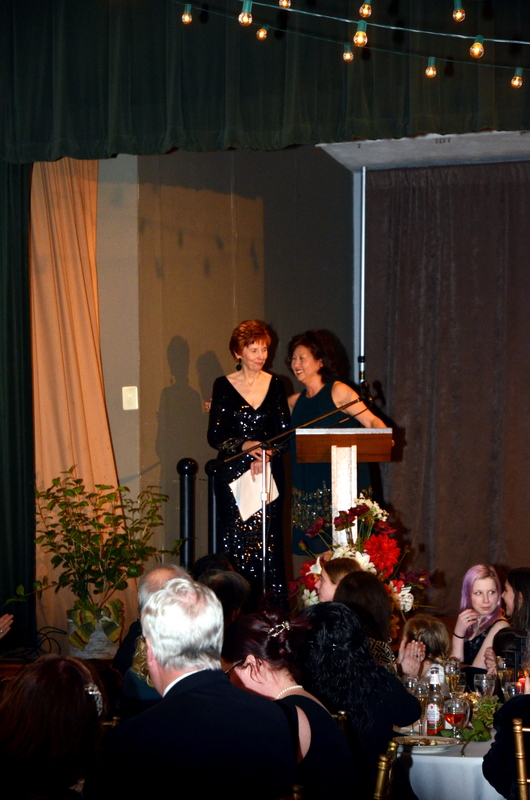 The Hedgerow Theatre was founded in 1923 by Jasper Deeter, the now benevolent spirit referred to many times during Friday evening’s gala event. Built in 1840, the theatre was originally a grist mill. It was reconstructed and turned into a theatre by Will Price before Mr. Deeter came to town. Hedgerow is inextricably entwined with the legacy of the Rose Valley Arts and Craft Movement. A movement that defines itself by independent thinkers resisting the wave of industrialization rushing over society. Founding Artistic Director, Jasper Deeter, recognized in this movement a kindred spirit after visiting his sister and watching her perform at what was Guild Hall. He saw here was the place to create an independent theater and transformed Guild Hall into Hedgerow Theatre. In this act, he foreshadowed the regional not-for-profit theatre movement, and pushed for a racially integrated company of artists both near and far crafting an identity for Hedgerow as a beacon for artists throughout the country. Beginning in 1923, Hedgerow launched the first resident repertory theatre that, over its 94 years, has become a magnet for many national theatre personalities, from Richard Basehart to Edward Albee; from Ann Harding to Susan Glaspell; to—more recently—Keanu Reeves and Austin Pendleton. Visionary actor/director Jasper founded Hedgerow in 1923 as a haven for cutting edge artists of the early 20th century, and the theatre quickly gained a national and international reputation as a proving ground for era defining artists such as Eugene O’Neill, Henrik Ibsen, George Bernard Shaw, Theodore Dreiser, and Wharton Esherick. In a sense, the very history of Rose Valley and The Hedgerow Theatre are inextricably linked. Penelope’s step-grandmother was with Hedgerow in its early days, and her mother began taking classes with Deeter in the early 1960s. A young Penelope soon joined in, though she spent much of her career on different stages, including the Milwaukee Repertory Theater, where she was a principal actor, and New Jersey’s McCarter Theatre Center, as a lead actor, director and teacher. In 1991, Penelope returned to Hedgerow, where she would take up tenure as the artistic director, bringing new life to the theater. 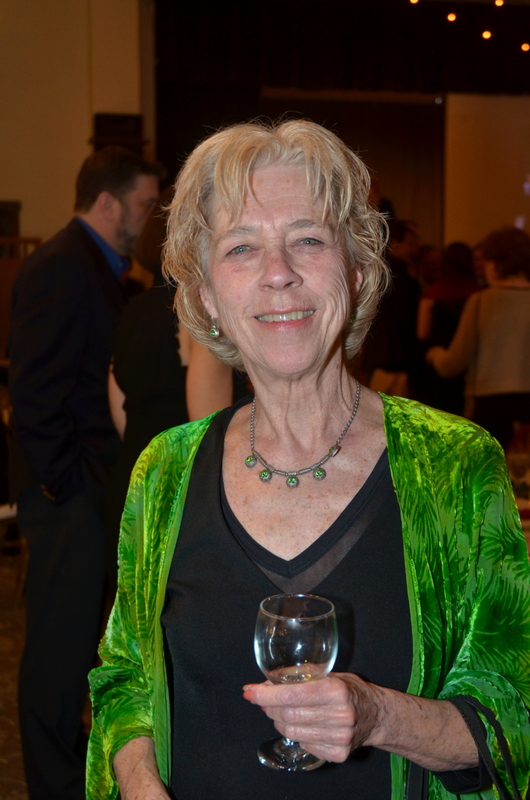 “My goal was to get the community to embrace the theater, because a lot of times they saw Hedgerow was in the community, but not of the community,” she says. For over 20 years, Penelope worked on that goal, upping programming. Jared, meanwhile, pursued a career in New York. He’d been involved with Hedgerow, but left to attend Rutgers University and eventually Juilliard. “I did my time in New York. I did my 10 years—and I was successful—but it never was a family thing,” he says. Jared’s early years spent at repertory theaters with his mother made him want to return. “When you’re in a company and everybody does everything, I think that’s what drew me back here,” he says. Jared returned to Hedgerow in 2012. Over the course of the next few years, he worked with his mother before being named producing artistic director. Penelope now focuses on teaching master classes. “A lot of times, I feel I’ve been tending the place until Jared came,” she says. I am appreciative of theater, but as a kid I never got further than helping on stage crew and being in the chorus of Oliver! in either 8th or 9th grade, so when I see these kids who are the real and talented deal, I love to watch them. Dinner was served buffet style, and the caterers outdid themselves. 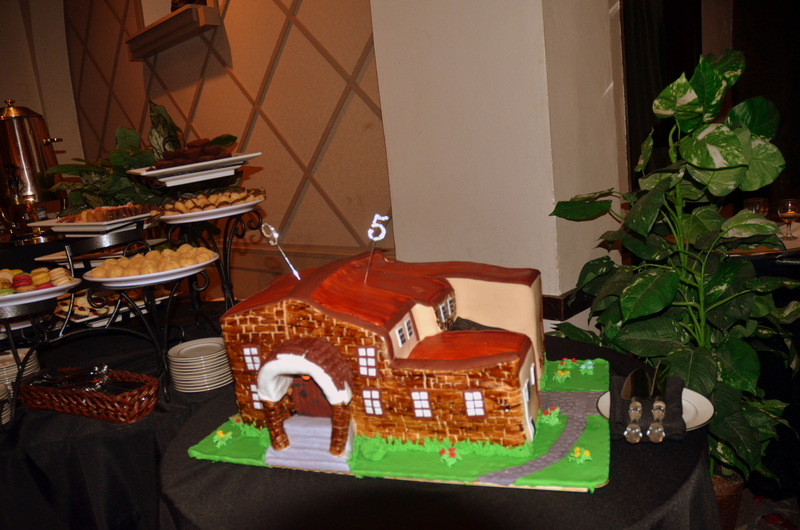 Of particular note were the two salads,the cod fish, and of course the beautiful dessert buffet complete with a marvelous cake replica of the Hedgerow Theatre. What stayed with me as we drove home is how Hedgerow is quite literally a family affair, and how devoted people are to the continued success of Hedgerow and it’s various programs. 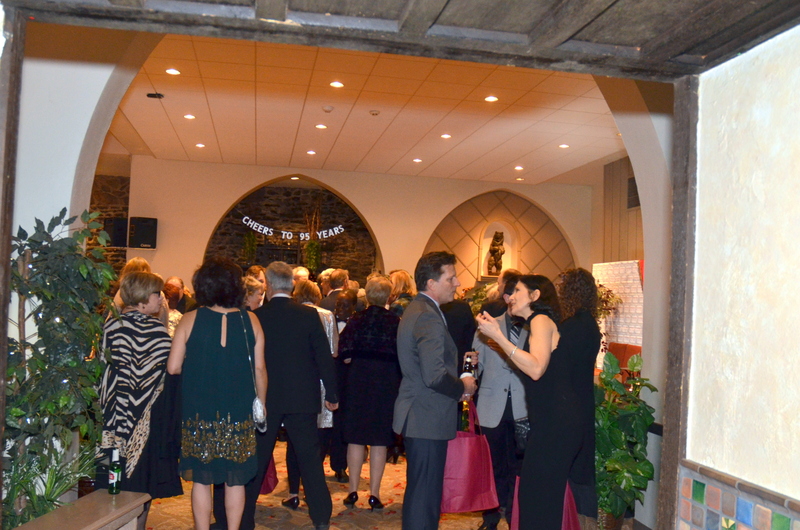 Charitable giving keeps organizations like this alive. Click HERE to check out how you can support Hedgerow Theatre Company, including through “Amazon Smile” which is what I have chosen to do. Thanks for taking the time to read about Hedgerow and Rose Valley today. Any photos featured here were taken by me, and I am giving all of the photos I took to Hedgerow for their use as long as they would like. 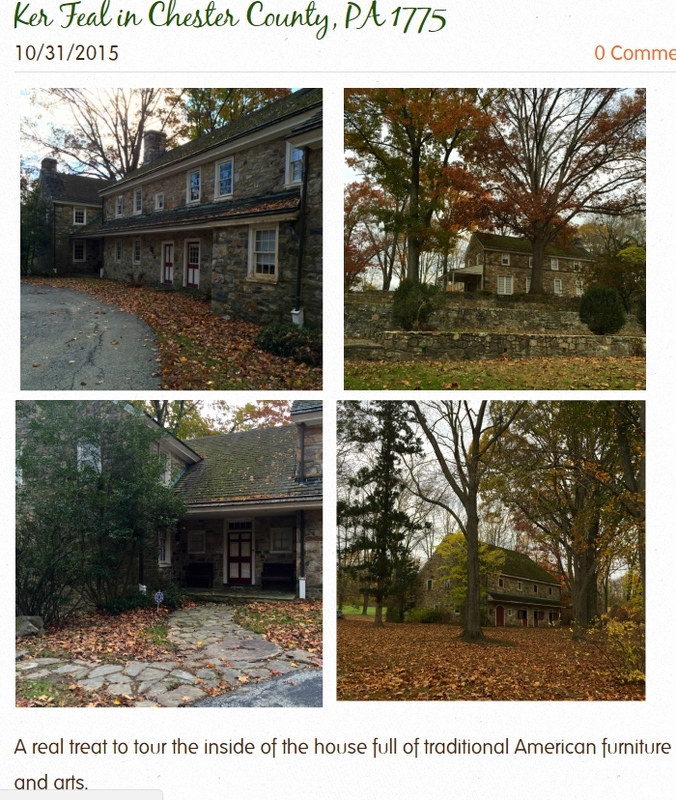 historic demolition by neglect in exton, west whiteland? West Whiteland Township officials must wear blinders going in and out of their township building! This is that historic farm house right as in directly across the street from them that is on the mall property at Main Street in Exton. Wasn’t this the property that if that mall got built those structures would be saved and restored? I actually had my husband turn around so I could take photos because we were so shocked at the dilapidated deteriorated appearance of these structures. And one side has graffiti on it as well. The only caretakers of the property are the Canadian geese! Chester County, we have to stop allowing elected officials and others from paying only lip service to historic preservation. It needs to mean something. We deserve better in our communities. Oh, and now we can see shrink wrapping structures is NOT historic preservation, right? At the Main Street at Exton site, formerly known as the Indian Run Farm, some of the county’s most historical treasures will stand beside some of the county’s largest new stores. A case of the old meeting the new, part of the Main Street project includes the adaptive re-use of several historical buildings, one of which may be nearly 300 years old. 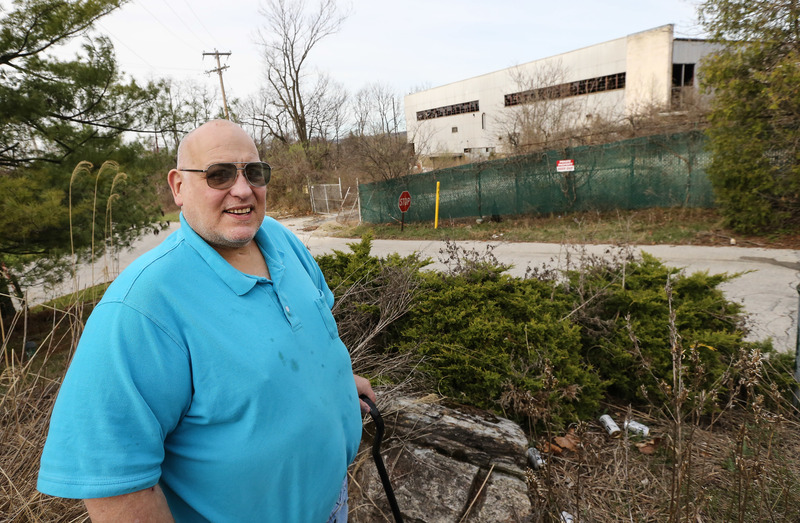 “It’s kind of remarkable that historical structures like this can co-exist with this type of development,” said West Whiteland Historical Commission Chairman Bruce Flannery. “I think there is an opportunity there for a something really fruitful between the township, developer and community, but that remains to be seen. We know the resources will stay. The question is how they will remain…….”Historically, the crossroads has been where some of the county’s first settlers, given land through the 1684 William Penn grant, designated by the king of England, chose to call home. 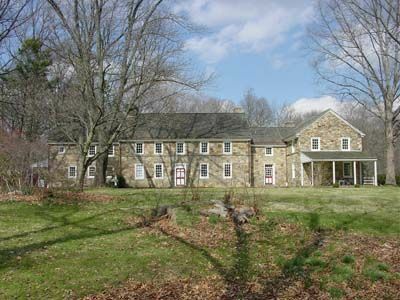 Penn gave 40,000 acres of land to Welsh Quakers fleeing persecution in England. At that time Route 100 was most likely an Indian trail, said Flannery. The land where Main Street at Exton is being constructed was initially given to Richard Thomas, a Quaker who fled Wales with his family. The Thomas family complex was centered around the area where routes 30 and 100 now intersect. Operating a gentleman’s farm, Richard Ashbridge, a direct descendant of Thomas, built the 1843 house, renovated in 1912, that stands at the site. Both the house and the woodcutter’s cottage, where a stone dates the building back to 1707, are class one historical structures. So this is the respect for the past that the developer here has shown and West Whiteland has allowed? 16 years of demolition by neglect for what they said is one of the first settlements in the township and of paramount historical importance?! Main Street at Exton builder Wolfson Group, plans to build a 410-unit apartment complex near Commerce Drive and next to the Exton Square Mall. The 26-room mansion is slated to become a community center . The township has not awarded final approval for the apartment project. The property is zoned TC or Town Center. Shoppers at Main Street at Exton have watched the historic building decay since long before it was wrapped with protective tarps in 2002. Much of the 1843 era house is now exposed to the elements as tattered tarps blow in the wind…. So….how many years does a developer have to let something stand and rot before they file for demolition permits in West Whiteland? There is also an Abandoned Steve video on this which is quite interesting. CLICK HERE TO VIEW. Ahh this gem of a book is finally out! I am so honored to have had this amazing book dedicated to myself and renown Philadelphia Artist (and family friend) Noel Miles by author (and friend) Thom Nickels. This is such a treasure of a book because Thom tells the stories of these homes and their people. Included in his book are many homes I find amazing and two in particular. La Ronda and Loch Aerie. I also provided photographs I took of those two incredible homes. 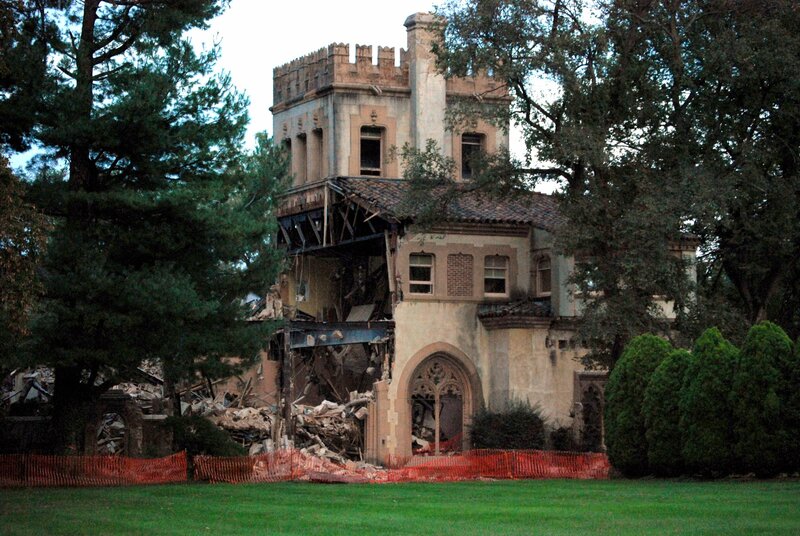 La Ronda, which once stood in Bryn Mawr in Lower Merion Township, stands no more. She was demolished in 2009. Loch Aerie under restoration. 2018.in the fall of 2009. One of the darkest weeks in historic preservation was watching La Ronda (Addison Mizner, architect) come down stone by stone, floor by floor not because she had to be torn down, but because someone could just destroy her. Others will note the wonderful chapter on Frazer’s Grande Dame, Loch Aerie (Addison Hutton, architect), who is being saved and restored to new life and a new use. Loch Aerie will live to see more stories happen between her walls. There are many stories and many homes in this book. 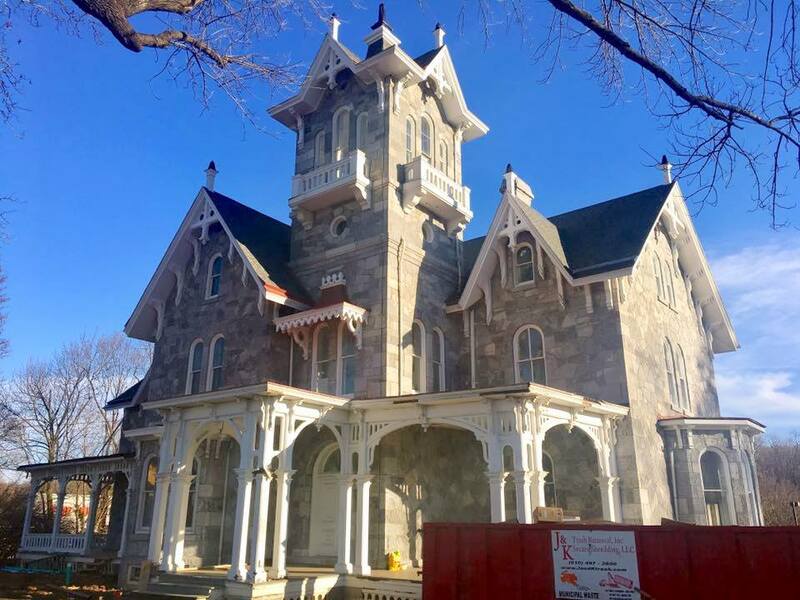 Hear about historic Strawberry Mansion’s rise and fall and the sad life of architect Thomas Nevell who designed one of Philadelphia’s greatest mansions, Mount Pleasant. Hear about Germantown’s mysterious Ebenezer Maxwell and his famous house that became the inspiration for theexterior of the popular Addams Family house. You can buy the book on Amazon and support Thom’s hard work and his beautiful gift of storytelling. Yu can also purchase directly from the publisher. 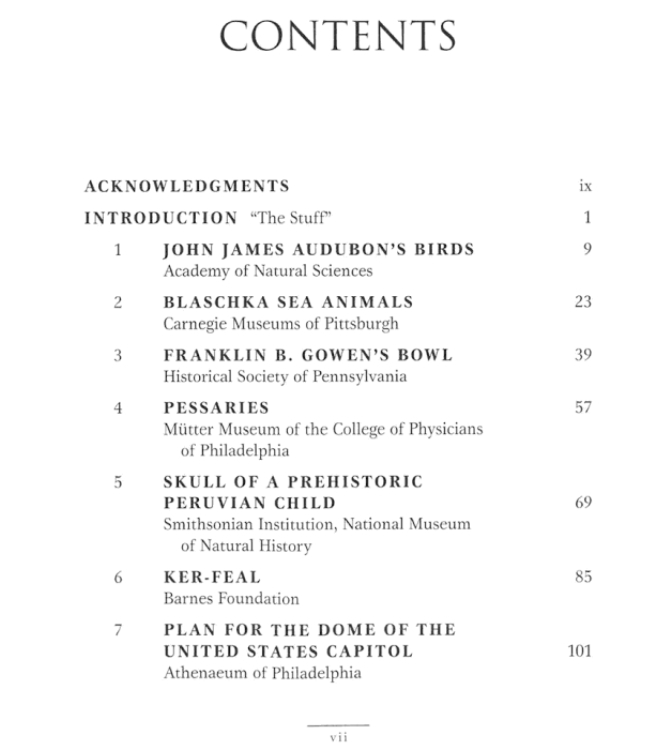 And on April 10th there will be a wonderful event and discussion of the book at the Historical Society of Pennsylvania. You can buy tickets HERE for that special event. They are only $10. In the fall of 2018, the Tredyffrin Historic Preservation Trust will also be featuring a special event with this book. Details will be forthcoming soon on that event!